By Bill Fisher and Mike Urich. New for 1994. Covers all 2010, 2300, 4010/4011, 4150/4160/4180, 4165/4175 and 4500 performance carburetors. 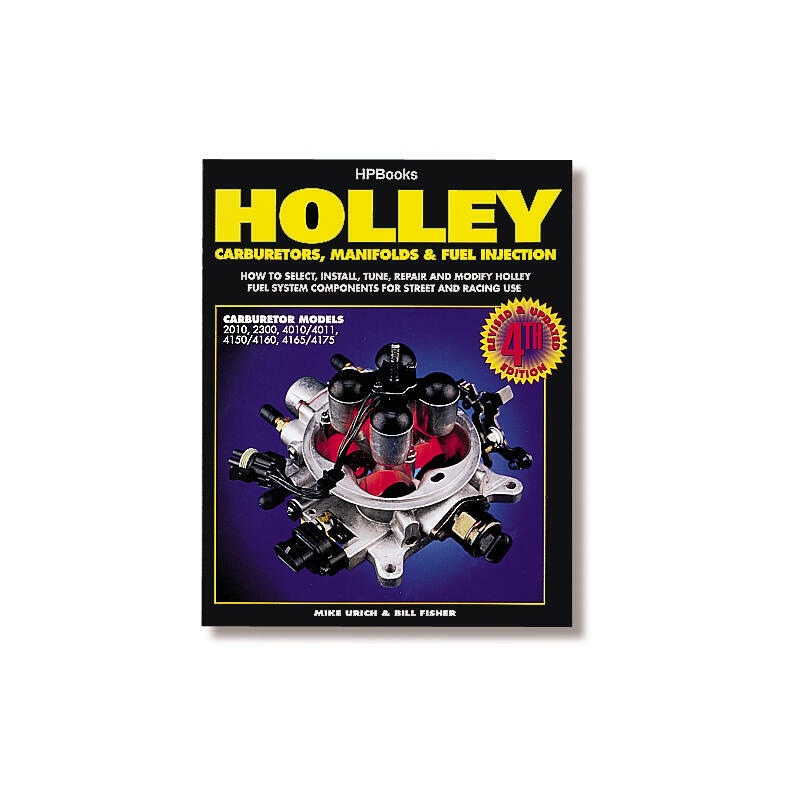 Includes Holley Pro-Jection 1-bbl. through 4-bbl. models with installation and tuning information not found in any other publication. Explains how to select and install the right carburetor and manifold. Plus alcohol modifications for short track racing. 224 pages.